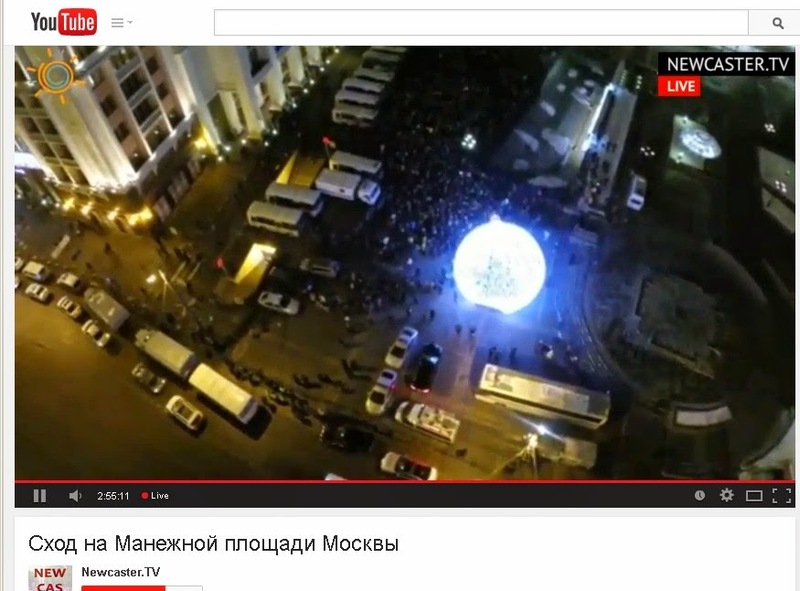 I was watching the Moscow protest about the sentencing of the Navalny brothers. there were several reporters here and there that the news fee would cut to. Then suddenly, video from a quadcopter! Nice. I would personally not fly over people though. Will congress come up with some rules? "The FAA is expected to propose restricting drones weighing less than 55 pounds to flying at altitudes under 400 feet, forbid nighttime flights and require drones be kept within sight of their operators. Drone operators may also be required to get pilot's licenses, a possibility already drawing fire from critics who say the skills needed to fly a manned aircraft are different from those needed to operate a drone. Shuster indicated he's concerned that requiring pilot's licenses might be burdensome and unnecessary. And keeping drones within sight of operators would be too strict and limit their usefulness, he said. The reason for keeping drones within line of sight is that they don't yet have the ability to detect and avoid other aircraft. AUVSI, the drone industry trade group, recently hired Mark Aitken, former chief of staff to Rep. Frank LoBiondo, R-N.J., as its government relations manager. LoBiondo is chairman of the House Subcommittee on Aviation, which will write the FAA reauthorization bill. 'We're really looking at an incremental approach still,' Aitken said. 'It's not something that is going to happen overnight.'" That 55 pound rule always amazes me. What on earth kind of contraption that weighs 55 pounds should be restricted to just 400 feet altitude? and what on earth could it be? A few examples of people not quite ready for the Christmas gift they received. "As sales soared like so many drones, YouTube overflowed with spectacular eye-in-the-sky video clips — the kind you’d normally expect to see from big-budget filmmakers with professional helicopter crews. (And when was the last time a helicopter pilot dared to venture inside a fireworks display?) These new toys afford us the freedom to go where birds go, with much of the same exhilarating speed and maneuverability. For anyone interested in taking to the skies, the only challenge is deciding which drone to buy. Peruse your local or online hobby shop and you’re likely to find dozens of different models on display, with no clear indication of what’s best for different demographics." These look like good, reasonably priced choices. "Unmanned aircraft systems (UAS), or drones as they are often called, are increasingly available online and on store shelves. Prospective operators—from consumers to businesses—want to fly and fly safely, but many don’t realize that, just because you can easily acquire a UAS, doesn’t mean you can fly it anywhere, or for any purpose. 'Know Before You Fly' is an educational campaign that provides prospective users with the information and guidance they need to fly safely and responsibly. Know Before You Fly was founded by the three leading organizations with a stake in UAS safety – the Association for Unmanned Vehicle Systems International (AUVSI), the Academy of Model Aeronautics (AMA) and the Small UAV Coalition. The Federal Aviation Administration (FAA) is partnering with the founding members to spread the word about safe and responsible flying." YES! This was sorely needed. Come on people, let's keep a bit of distance here! "SINCE 2012 the director of Speciesism: The Movie has been secretly using spy drones to investigate and expose the environmental devastation caused by factory farms. In this video, the drones capture shocking aerial footage of the massive facilities that supply pigs for Smithfield Foods." As far as I'm concerned (not being an attorney), if you fly over someone's property without their permission, you are trespassing. "Last week, Greenpeace activists provoked international outrage when they undertook a publicity stunt, trespassing on the Nazca Lines World Heritage Site. Newly released done footage shows how much damage they left behind." "The development of commercial drones has been gaining momentum. In fact, smart machines such as drones were one of Gartner’s top 10 technology trends organizations can’t afford to ignore in 2015, and InterDrone, the newly announced International Drone Conference and Exposition, is making sure drone-building engineers and software developers don’t miss a thing." This looks interesting, though it might be a bit techie for amateurs. "The report comes after Balpa, the airline pilot’s association, demanded protection for the public against the risks of drones, which it wants to meet the same safety standards as piloted aircraft. It also wants the machines to only be flown by operators with pilot-equivalent training. Drones have been rapidly gaining popularity recently, and are a highly-sought after Christmas present this year. London department store Selfridges alone sold more than 100,000 Q4 Nano drones — around the size of a Jammie Dodger — via its concession Red 5 this year, the Evening Standard reported." One crash between a drone and a plane will lead to insanely harsh rules for everybody. Just stay clear of airports! "Earlier this year we brought you news of a new competition, backed by National Geographic, looking for the most impressive drone photography. It was arranged in conjunction with Dronestagram - a website for drone photographers to share and discuss their favourite work. The winner was of a beautiful eagle, soaring majestically above a national park in Indonesia. As 2014 draws to a close, we invited the Dronestagram team to bring us up to date with the very best pictures taken over the past 12 months." "'We all agree that the project is taking too long,' Peggy Gilligan, a top FAA safety official, told a congressional House panel Wednesday. Gilligan confirmed that a 'balanced' proposal on drones is under executive review. But once that proposal is published for the public's eyes, it could take months to arrive at a final set of rules. The result could mean years of additional delays, according to a Government Accountability Office official. 'The consensus of opinion is the integration of unmanned systems will likely slip from the mandated deadline until 2017 or even later,' said Gerald Dillingham, the GAO's director of civil aviation." This is certainly frustrating, especially since commercial use of quadcopters is essentially stopped until the rules come out. We just need to be especially careful until then. A starter quad for Christmas? Hobbyists, he says, are in it 'for their own pleasure,' much like R/C enthusiasts. Hobbyists are also likely following at least some of the 46-page Academy of Model Aeronautics guidelines for model aircraft pilots, including a minimum safe distance for operations within an airport. For example, the FAA says that anyone flying a model aircraft within five miles of any airport must notify the control tower; a large slice of beachfront Naples falls within that area. The next category — folks getting technology off the Internet and launching it into the air without so much as a by-your-leave — is the one that’s potentially causing the FAA headaches. These users fall in between professionals playing strictly by the rules and boys with their toys. Those may include photographers sending a UAV over a beach wedding or real estate companies doing aerial photos — all are technically in violation of FAA rules if money changes hands for that service. For example, the FAA says that anyone flying a model aircraft within five miles of any airport must notify the control tower; a large slice of beachfront Naples falls within that area. Larger 'professional corporate entities,' such as enerGies, treat UAVs (and their pilots) as any other valuable resource. enerGies conducts a 100-page site survey and risk assessment before ever unboxing its Lockheed Martin Indago VTOL UAV. The feather-light machine, which costs between $20-$40,000 depending on its payload, has a 45-minute flight-time and programmable controls." this is a good summary article for current uses of drones, and their uncertain legal status. "The shell of the drone is made from a mushroom-like material called mycelium, and cellulose coated with the same protein used to make wasp nests waterproof. Inside, the circuit board is printed with silver. Most of the materials—apart from a few components, like the motor—are biodegradable." I like all this thinking outside the box. A lot won't really work out, but some will. Who's going to be the first person to yank that thing to the ground? "Transport Canada today introduced two new exemptions that make it easier for businesses to fly small unmanned air vehicles (UAVs) safely and legally. Under the new exemptions, a Special Flight Operations Certificate will no longer be required for certain operations involving very small (under 2 kg) and small (between 2 kg and 25 kg) UAVs. The new approach will apply to commercial operations and contribute to a strong safety regime. To qualify under the new rules, operators must check Transport Canada’s website to confirm if the exemptions apply to them. If they do, operators must respect strict safety conditions at all times, including height restrictions, minimum distances from aerodromes and other hazards, as well as flight within specific airspace and visual line‑of‑sight. Anyone operating outside of these conditions will be required to apply for a Special Flight Operations Certificate. These exemptions were previously announced to stakeholders at the Unmanned Systems Canada conference on November 5th. In October, Minister Raitt launched the Government of Canada’s national safety awareness campaign, which aims to help Canadians better understand the risks and responsibilities of flying UAVs. For more information, please visit www.tc.gc.ca/SafetyFirst." These are similar to the US rules. Stay away from airports, don't fly too high, no license needed unless your rig is less than about 50 pounds (!). CBC had a segment this morning on the new rules.